KUALA LUMPUR — A group of nine lawyers will defend Đoàn Thị Hương, with her murder trial due to begin on Thursday, said the Ministry of Foreign Affairs (MOFA). 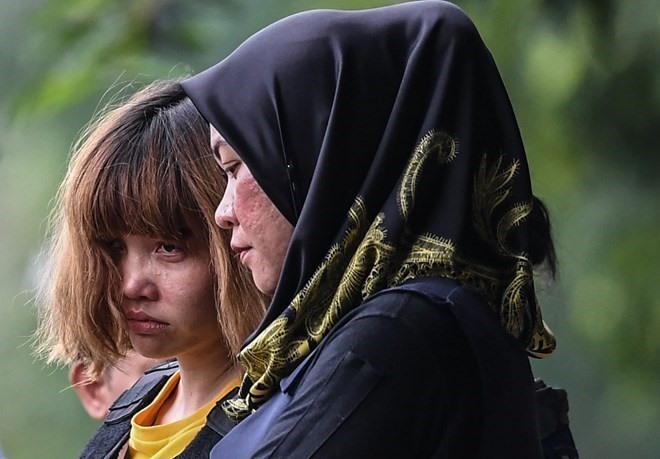 The 29-year-old Vietnamese national and another 25-year-old Indonesian woman, Siti Aisyah, are the two main suspects of the murder of a North Korean man named Kim Chol at Kuala Lumpur airport on February 13 this year. They face the death penalty if convicted. Bùi Quốc Thành, vice head of MOFA’s Consular Department, told the press on Wednesday afternoon that the group includes two Malaysian lawyers, Hisyam Teh Toh Teik and Naran Singh, who the Vietnamese embassy hired on March 29 for the case. They are considered among Malaysia’s best and most experienced criminal defence attorneys. Naran Singh has three lawyer partners working on Hương’s case while Hisyam Teh Toh Teik has one. The Việt Nam Bar Federation also sent three Vietnamese lawyers to defend Hương. Thanh said that both the Vietnamese and Malaysian lawyers believe she is innocent. “Việt Nam asks Malaysia to assure a fair, objective and non-discriminatory trial and to ensure the legitimate rights of Đoàn Thị Hương,” he said. During up to seven consular visits with Hương in the Kajang state prison, she always asked embassy officials to inform her family that she was healthy and they should not visit, Thành said. She was concerned about their safety should they come to Malaysia. Hương’s father, Đoàn Văn Thạnh, flew to Malaysia on Wednesday and had the first contact with Hương since her arrest.